Do you suffer from social anxiety? Do you feel like your life is often held back because you are unable to function in social situations? What if I told you that social anxiety was something you could control—that it was actually an experience you were creating in your own mind? The fact, however, is that anxiety is just a pattern. Just like everything else we do in life, our thoughts, actions, and intentions shape our perceptions of the world around us. Over time, these thoughts and actions become patterns—habits in the way we deal with and respond to the information we’re presented. Today, I’m going to share a secret trick I’ve picked up over the years for helping to eliminate that pattern forming process and turn your perceptions around to work in your favor. Here’s the thing: in order to create social anxiety, you must first generate some sort of visual (or verbal) story: a movie of sorts depicting what you believe will happen if you take the next step toward the action that scares you. If you’re going to a party, you immediately pull up the “movie” of the time you put your foot in your mouth in front of a group of people; if you’re going to approach someone attractive, you immediately pull up the “movie” of the time you struck out painfully and publicly; if you’re going to make a suggestion at work, you immediately pull up the “movie” of the time you were dismissed by your boss in front of your coworkers. I got hurt doing XYZ; I don’t like feeling hurt; I would like to avoid XYZ; I will give myself a reason to avoid XYZ. Unfortunately, this action has the opposite of its intended effect: when we preserve these mental images and call them up just before the action in question, we actually put ourselves back in the very mental state we were trying to avoid. What’s worse, however, is that now we’ve also added anxiety to the mix. And this doesn’t just affect your social anxiety—it can actually affect every aspect of your life, from relationships to simple daily acts like completing a project. In order to break this cycle, we have to press pause, ask what movie is being played, realize that we are the ones creating it, and ask ourselves whether we can create something different. Just for fun, let’s try this right now. Go back to that scenario you just pulled up and recall the movie that played in your mind. Now, instead of remembering one bad moment from the past, try imagining an amazing moment in the future. Try picturing how you would like that situation to go and let the joy build up inside you as you watch it unfold. Whatever has happened to you in the past is the past. It may have affected your history, but it does not define your future. These thoughts are not serving you now, and they’re certainly not going to serve you a week, month, or year from now. Do you really want to remain emotionally attached to that memory? Or do you want to choose a new path? The fact that it is a pattern means that it can be changed. This isn’t a dream, and it’s not hype. I’ve seen this happen for many clients of mine, and I’ve even experienced it myself. I am no different from you, and neither are the many other people who have experienced fantastic results with this work. Although it’s possible to start making major changes in the way you view social situations through simple daily adjustments to your mindset, some people want a little more guidance, accountability, and encouragement. That’s where my full programs come into play. If you know you’re the kind of person who will benefit from specific step-by-step instructions, interactive assignments, and coach motivation, then I highly recommend you check out my new program, Confidence University. 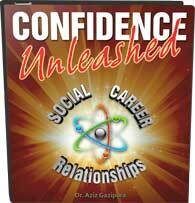 This is the most powerful, engaging, dynamic, and responsive confidence turnaround program in the world. Confidence University is an interactive program that has been designed based on years of work with hundreds of clients. 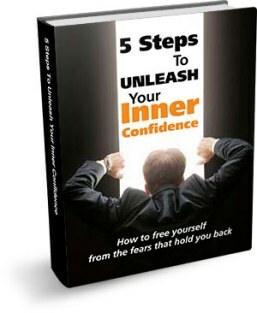 It’s guaranteed to set you on the path toward greater confidence in every area of your life, and it’s available to you now on my site, SocialConfidenceCenter.com. In the meantime, let’s start taking a look at that mental movie and seeing if we can change the story. Can you envision a brighter future for yourself? Can you begin to imagine yourself communicating brilliantly with people of all sorts? Can you picture yourself as the life of the party? All of these outcomes and more are possible for you to achieve—you just have to do the work to change the pattern that’s holding you back from success. As always I invite you to leave your comments and thoughts below. What does your movie look like? How could you reimagine it to make it a tool rather than a hindrance? Please also feel free to subscribe to this channel so that you can receive new releases as they’re posted and learn from this fantastic community. Until we speak again, may you have the courage to be who you are and to know on a deep level that you’re awesome.